Sometimes, when a child is born outside of a marriage there can be uncertainty or a disagreement regarding the identity of the child's father. It is in these situations when paternity suits arise. Mothers can use a paternity action to establish parentage and to establish child support obligations or to establish custody or visitation rights. Fathers can file a paternity action to establish a parent-child relationship and obtain orders for custody, visitation and support. Paternity is not like a divorce proceeding. While some of the related issues, like parental rights to child support, child custody and visitation, are the same, paternity differs for several reasons. One of the biggest differences is that fathers cannot get child custody until the case is adjudicated. Unlike a divorce, there is no presumption that the father is the father so he may not have any temporary visitation until the court makes its ruling. Mothers are also affected. Mothers are often concerned with the health insurance, medical expenses and child support. While child support payments can be applied retroactively, there are no temporary allowances. The attorneys at Whittel & Melton understand that these issues can be difficult for the parties involved and it is for these reasons that our Palm Beach County Paternity Attorneys will work diligently to obtain a resolution in your case as expeditiously as possible. Our experienced Palm Beach County Family Law and Paternity attorneys can assist both mothers and potential fathers in all types of paternity actions, including: establishing paternity to obtain child support or to fight paying child support for children that are not biologically related, or to establish custody and visitation rights. If you have a paternity issue, please contact us for a free consultation. Our attorneys can advise you on the procedure to file a paternity petition or how to set aside a paternity judgment, or to discuss the consequences or ramifications of a paternity suit. 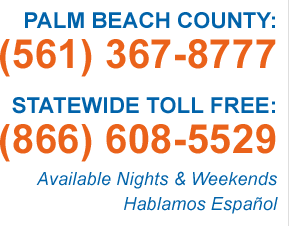 Contact us at (561) 367-8777 or toll free statewide at (866) 608-5529.